Join their club and receive a second pizza at 50% off, here's a coupon preview..
- View their Pizza Menu here. Get a $6 discount on two family size pizzas at regular menu price. 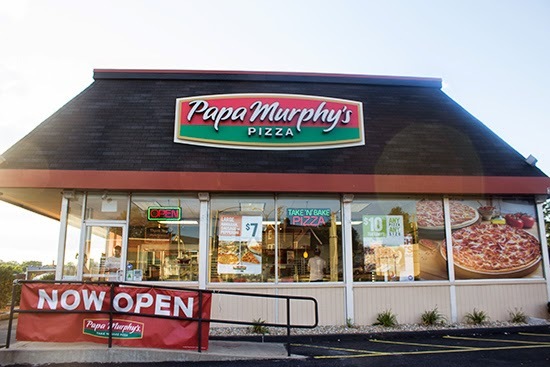 Get 25% off your next meal at papa murphys, excludes dessert pizza. Purchase a large 3-topping pizza for only $8. Enjoy $2 off a regular menu price medium gluten free crust pizza. Choose any FAVES large Pizza for only $5. Choose from our always-ready Cheese, Pepperoni or Sausage pizza. Choose any Faves pizza, a 2-liter soft drink and a side of Classic Cheesy Bread, cookie dough, cinnamon wheel or s'mores dessert pizza for only $10. Family size pizza for the price of a medium, $2 off any pizza, pepperoni or 1 topping large pizza $6.99, plus more.